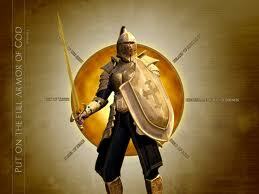 In Ephesians 6 God tells us to put on the Full Armor of God. He has given us the tools to fight the enemy of God. One of those tools is the Shield of Faith. The Lord, through His prophets, have been warning us that we are facing terrible times ahead. We shake our head in wonder now at the things that are taking place in our society and the world and wonder what is going to happen. Do we focus on the senseless slaughtering from ISIS, the attempt to destroy the sanctity of marriage through the homosexual agenda, the slaughtering of millions of unborn children, attacks against Israel, or Ebola? Although these are important do they strike a note of fear in us? Do they consume our thoughts? 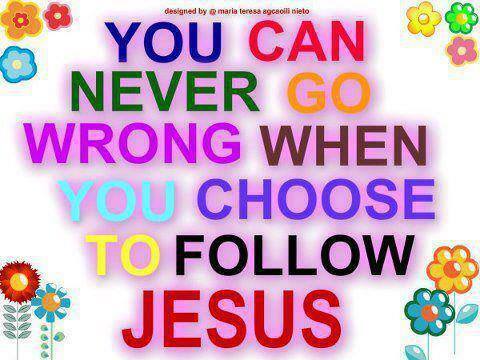 Our focus is to be on God! 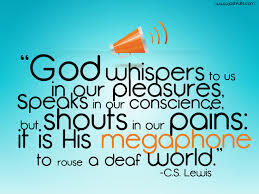 He is calling us to repentance. 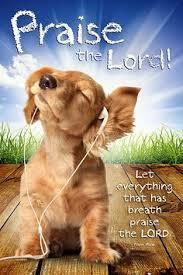 He is wanting to hear our heartfelt prayers and our praise and worship. We are not to focus on the world or the events that are happening in the world. We are to look beyond and above the world to eternity. Our eyes are to be on Him not the events of the world that can leave us shaking in fear. We are to cling to God through His Son Jesus Christ through our faith in Him. We pray without ceasing and in addition to the other pieces of armor we take hold of that piece, the shield of faith, and hold fast! 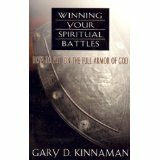 Gary D. Kinnaman, in his book, “Winning your Spiritual Battles” discusses the various pieces of God’s full armor and gives an account of what each Biblically means and how we can be protected. Mr. Kinnaman states that in the New Testament there are four different shades of meaning of faith. 4. Enduring faith – Faith that does not quit. It is the persistent, resilient belief that God’s Word is true, over and against every problem, wrong thought, or demon. Endurance is active faith, deflecting persistently the fiery attacks of Satan. In these troubling times God is calling us to persevere. We must have enduring faith if we are going to “run the race” and receive the prize. Grab your shield of faith and hang on tight, it’s only going to get worse. 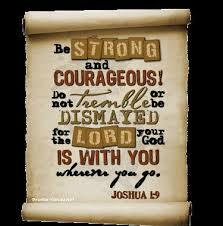 “Heavenly Father and mighty God, shield me with Your power as I trust in You. The flaming arrows of the enemy have burned my soul. Heal the pain inside, and give me the strength to resist. I am committed to enduring to the end of this trial, regardless of how long it lasts. I am not a victim. I am a victor, more than a conqueror through Christ. May all who see this pray for the help survivors need. Abuse must stop! Took the time on my daughters Facebook this morning. Found this touching video. Worth dedicating to the cause of stopping abuse. So glad Jesus meets needs and answers prayer. God Bless you Secret Angel. Keep up the good work. Christ is behind your ministry and doing something. God never quits. May God search our hearts and bring healing to those things that stand in the way of being all that He created us to be. One of the first articles I wrote for the new Cyber Support Group blog (Rocks in my Garden) was with an assignment of placing rocks in a basket as each issue was healed. 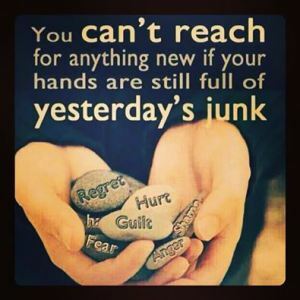 Survivors carry much guilt, shame, unforgiveness, low self-esteem, anger, etc. The healing of these many issues takes time and much work. They did not happen over night and will not be healed over night. As each issue is looked at we go through the pain of having to relive some of the events of the past but as we do so the Lord is with us and helping us to delve into the deep dark secrets and the effects it has in our present life. But now choose not to lose. Then I will set her free. 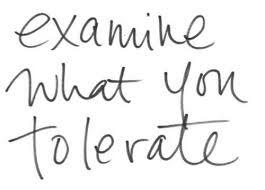 Every person has things that they will tolerate and those things that they will not tolerate. From ourselves and others. It’s called setting boundaries. But are the boundaries we set healthy boundaries? Children that grow up in dysfunctional families are not given a choice, or not taught what healthy boundaries are. There are not usually boundaries set in dysfunctional homes. Sexual abuse is tolerated or hidden, beating Mom when the dinner isn’t ready on time, cussing and screaming, slapping, verbal attacks, degradation. There are all forms of abuse being tolerated. If there are any boundaries at all they are usually unhealthy. At first I saw God as my observer, my judge, keeping track of the things I did wrong so as to know whether I merited heaven or hell when I die. He was out there sort of like a president. I recognized His picture when I saw it, but really didn’t know Him. 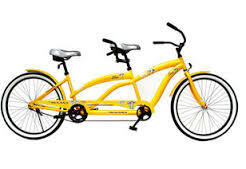 But later on when I met Christ, it seemed as though life were rather like a bike ride, but it was a tandem bike, and I noticed that Christ was in the back helping me to petal. I don’t know just when it was that He suggested we change places, but life has not been the same since. When I had control, I knew the way. It was rather boring, but predictable, it was the shortest distance between two points. But when He took the lead He knew delightful long cuts, up mountains, through rocky places at breakneck speeds. It was all I could do to hang on! Even though it looked like madness, He said, “Petal!” I worried and was anxious and asked, “Where are You taking me?” He laughed and didn’t answer, and I started to learn to trust. I forgot my boring life and entered into an adventure, and when I say, “I’m scared,” He’d lean back and touch my hand. 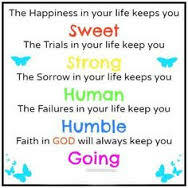 I gained love, peace, acceptance, and joy; gifts to take on my journey, my Lord’s and mine. And we were off again. He said, “Give the gifts away. They’re extra baggage, too much weight.” So I did, to the people we met, and I found that in giving I received, and still our burden was light. I did not trust Him, at first, in control of my life. I thought He’d wreck it. But He knows bike secrets, knows how to bend to take the sharp corners, knows how to jump to clear high rocks, knows how to fly to shorten scary passages. And I am learning to shut up and petal in the strangest places, and I’m beginning to enjoy the view and the cool breeze in my face with my delightful constant companion, Jesus Christ.